Posted by Chris on Tuesday, July 19th, 2011, at 2:00 am, and filed under Contests, Reading. This sounds really good. Please sign me up. May, I’m sorry you’re hot & miserable, but it COULD be worse. You could live down here in The South where you have heat AND high humidity. Then you’d be hot, miserable, & sticky. I love a chance to win. The book love Heidi’s books and this one looks great. Please enter me to win. I read the excerpt and it sounds great…i love football players. A recent post from Carrie#K..Well. That was a Week That Was and Doesn’t Have to Again. Count me in please. I saw this the other day when I was over @ Loose ID looking at the coming soon page. I thought it looked interesting. I highly recommend ice chips for heat – Jack & Benny can’t get enough of them. 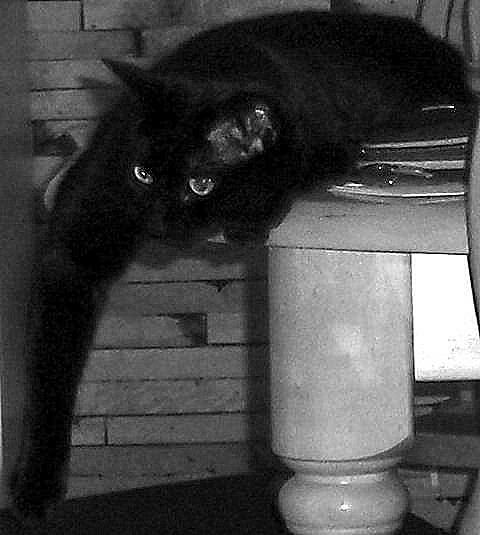 Poor Mayhem, my 2 pusscats feel the same way! Plz include me in the drawing, Chris!! Please include me too! Thanks! 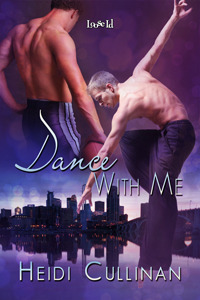 I’m counting the days for Dance With Me – count me in for the contest! And, Michigan hit over 100 yesterday, and looks to get close again today. I was uncomfortable, but Cobweb, Gandalf and Velcro, who wear permanent fur coats, were downright miserable. Oooh! Please sign me up for this one. Oh, I’d absolutely like to have a go at getting this piece from an author I have the highest respect for. Heidi rocks so of course I’m in. A recent post from Ethan Stone..Go! Buy! Read! I adore Heidi, count me in! I’m due for a win, dangit! Poor May. I’m not fond of hot either. please enter me into the contest 🙂 Thank you! I like Heidi Cullinan’s works. I look forward in reading this one. Please count me in. This one looks really good! I’ve actually never read one of your books but this looks like a good place to start. I love dance & sports so this looks great. I also love the cover. Count me in.